Instagram is now one of the most important social media networks. It has passed 800 million monthly users, and pundits expect it to reach one billion before this year is over. It should be no surprise, therefore, that Instagram is now the platform of choice for many brands. So if you can build up a large, engaged following on the network, it makes sense that you should think about earning an income from Instagram sponsorship. Unless you are particularly successful with an online store or affiliate marketing, by far the most lucrative income for most Instagrammers is Instagram sponsorship. 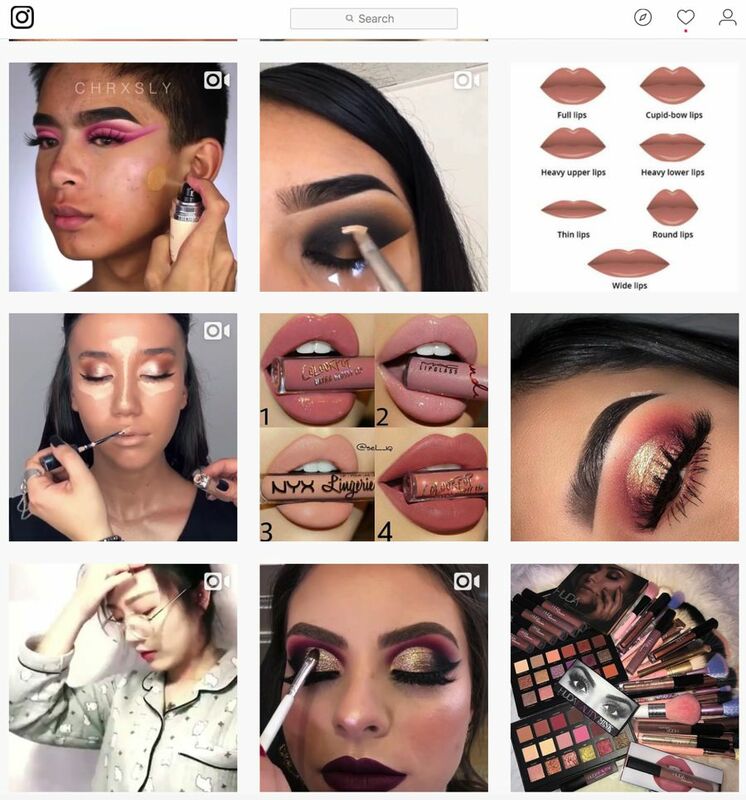 Brands and marketers have discovered that most consumers respond well to visual messages from people they trust on Instagram. In fact, they react far better to authentic posts from online experts, than they do to most other types of communication. This is even where influencers openly state that their statuses involve Instagram sponsorship, as per the FTC guidelines. If an influencer sounds authentic, her audience will take notice of anything she recommends. Influencers receive respect and adulation from their audiences, and they gain financial rewards from their sponsors. Therefore it should be no surprise that many people aspire to reach that level of influence and to achieve the kudos that goes with the title. In most cases, people do not become influencers by sheer luck. They work on building their audience’s trust and work their way up the pecking order within a niche. And as they build up reputation and status, they can see the reward of lucrative Instagram sponsorship in front of them. 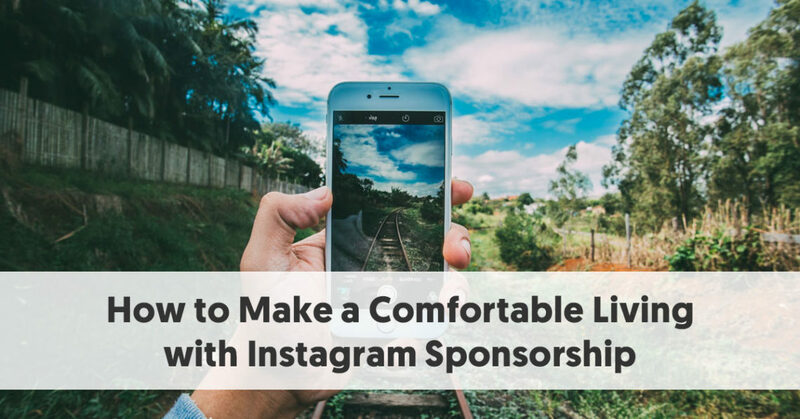 So what do you have to do to make a comfortable living from Instagram sponsorship? You may think you the photos you post on Instagram are the most eye-catching and attractive images on the net. But they are of little value if nobody sees them. Likewise, you will be of little value to a brand if nobody sees any sponsored posts you make on their behalf. It is easy to be confident and create an attractive Instagram account. But that doesn’t make you an influencer. There is one glaring requirement for people to consider you an influencer. You have to actually influence a sizeable number of followers. You need sufficient support from many people to react to your posts. To be an influencer, you need both reach and engagement. You will not receive Instagram sponsorship without these two essential qualities. The Influencer Marketing Hub can give you an indication of your potential worth in terms of Instagram Sponsorship. It balances this need for followers with the reality that the more followers you have, the harder it is to keep them all engaged. This is one of the reasons that micro- influencers are often more effective than celebrities. The reach of micro-influencers may be less than their celebrity counterparts, but their followers tend to be much more fervent supporters. This makes logical sense. While you may be mildly interested in following some celebrity, you probably give less credence to their opinions than you do to people you recognize as experts in a field. Also, it is much simpler for a micro-influencer to communicate with a follower in a two-way conversation than it is a celebrity. Our Instagram Influencer Sponsored Post Money Calculator recognizes this, giving higher engagement weightings to micro-influencers (and even everyday people) than the so-called superstar celebrities. You have to balance the greater reach of larger accounts with the smaller engagement rates. Often, the most successful influencers online are people with a mid-range following, i.e., genuine micro-influencers. Therefore, if you set yourself with a target to earn a comfortable living with Instagram sponsorship, you need to first establish yourself as a micro-influencer. Brands initially focused on people with high follower numbers – if not genuine celebrities, at least the macro-influencers who are superstars on a particular topic. More recently, however, brands have discovered that reach is not everything. High engagement can be equally, if not more, critical when finding people who can spread the message. The most success Instagrammers concentrate their energies on establishing expertise in a particular niche. A smorgasbord of posts on a range of topics may appear genuine, but they do not build you a devoted audience. The bulk of the people who will follow your Instagram account will do so because they are interested in the images you post and want to hear what you have to say. They share, like, and otherwise interact with your posts if they believe they can trust you. You are effectively building your brand in that niche. Whether you always post images about a particular topic, highlight one specific part of your life, or even just consistently display the same type of picture, you are building your Instagram standing. In an ideal world, a brand pays those influencers whose followers are a perfect match for their target sales base. So, if you want to earn Instagram sponsorship, you need to build up a following of the type of people who would like the same kinds of products. There is little point having too diverse a range of followers, as this does not advantage potential sponsors. For example, you might love shoes. You may take note of shoe trends, and possibly wear the latest shoes yourself. In that case, you will want to post images of trendy footwear, so other shoe lovers know they can rely on you to keep them informed if current shoe trends. You want to build up a following of fellow shoe lovers. The first step to gaining Instagram sponsorship is to create your personal brand. What interests you enough to warrant becoming an expert? The vast majority of your posts need to show images related to this topic. Your followers will begin to look forward to your posts. You need to build up their trust, so you should set up some form of schedule to emphasize your reliability. Instagram's algorithm also rewards people who post consistently. This is one of the factors that Instagram considers when creating a user’s feed. Once brands begin to look at you, they will notice your posting practices, too. They will feed more confident working with somebody who posts regular updates and demonstrates that they can be relied upon. CoSchedule analyzed 14 studies into social sharing and came up with the ultimate number of posts you should make each day on each social network. They found that significant brands share on Instagram 1-2 post per day, sometimes up to 3 times. Adobe recommends even more – up to ten posts per day. Of course, influencers have a more dedicated audience than brands do, so influencers will typically post even more frequently. Influencers do far more than merely post their favorite pictures on Instagram. They actively engage with their followers. If you find that your followers aren’t regularly liking, sharing, and commenting on your posts, then you are doing something wrong. This is the main reason why it is pointless to buy followers. It is unlikely that any followers you gain by this method have any interest in your posts. They are unlikely to even see them. With zero engagement, they are certainly not going to take your advice to buy any sponsored products. Brands are far more likely to sponsor an Instagrammer with a small but active audience than they are somebody with a sizeable unresponsive set of followers. 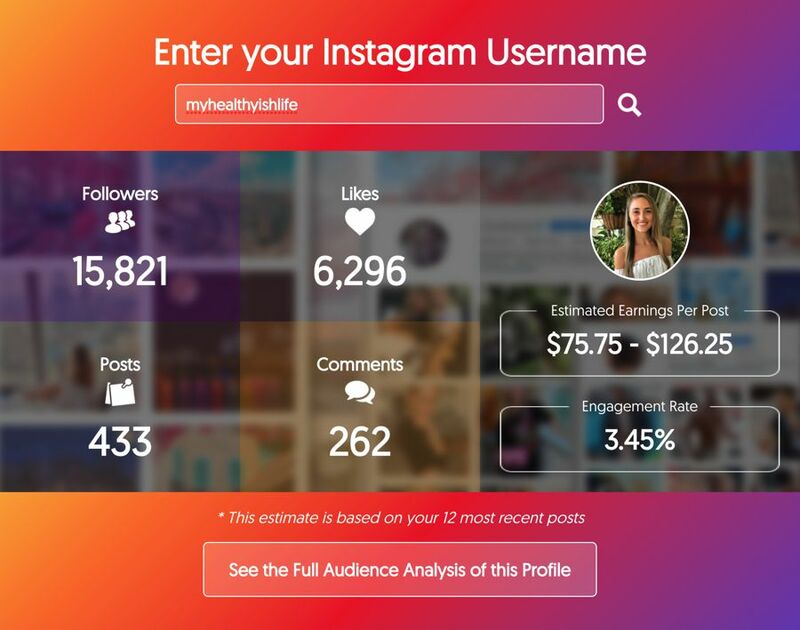 As we discovered when we created our Instagram Influencer Sponsored Post Money Calculator those with less than 1,000 followers average 8% engagement. This rate dwindles the more followers you have, dropping as low as 1.7% for influencers with more than 100,000 followers. Instagram uses hashtags exceptionally well. Indeed the most shared posts on Instagram use more hashtags that you would consider on other platforms such as Twitter or Facebook. Instagram allows you to use up to 30 hashtags in a post. You wouldn’t usually use that many, but it is common to include 10-15 hashtags in a post. A recent change has allowed people to follow hashtags. That means people can be fed with any posts you make containing suitable hashtags, even if they have not yet followed you. Instagram now rewards posts that include specific and relevant hashtags. You do need to ensure you stick to relevant hashtags, though. Users have the option to select your post and click on “Don’t Show for This Heading.” If too many users do that, Instagram might raise a red flag on your content. This does emphasize that you have to customize your hashtags for each post. You can't copy and paste a generic set into every post you make. One way you can make yourself visible to a brand is by tagging them in some of your posts. Obviously, you don’t want to do this in a spammy way. But any time you make a post that includes a relevant brand, @mention them in your post description. If you do this often enough, you may find that the brand shares your images. It will have the effect of making your name visible to the people operating the brand’s social media accounts. Of course, you do need to be strategic here. In many ways, these are like an unsolicited job trial. There is no point @-tagging a brand on a blurry photo that doesn’t show the brand in a good light. You might even do a deliberate shoutout to a brand asking them to share your post in exchange for you sharing some of their images. Once you have built up a sizeable following of engaged supporters, you could consider making pitches to brands, offering your influencer services. Make sure that you customize your pitch for each brand you hope to work with. Nothing looks faker than generic cut and paste pitches. Most people begin working with the smaller brands before the industry heavyweights are willing to cooperate with them. Take a look at the brands in your industry and begin creating pitches for the smaller ones. It will be much easier for you to get started with these companies, although payments will, of course, be more modest. You could begin the process by interacting with the brand's posts. Use their custom hashtags. Your purpose at this point is merely to gain recognition. In time you could send them a direct message, telling them how much you love their brand, and suggest to them the benefits of a possible collaboration. Again, make sure that you customize these messages. If they don’t respond to your direct messages, you could try emailing them – preferably their social media manager if you can find the correct email address. In the next stage, you should send them a pitch letter telling them about you. This should include information about your Instagram following, your niche expertise, relevant statistics (or example following and engagement data) and any notable achievements that have enhanced your reputation as an expert in their field. Finally, in your pitch, you should tell them why you will make a good fit for their brand, i.e., the benefits that you can accrue to them. Another option you have is to sign up to one of the influencer marketing platforms. You need to look for a platform which gives you the opportunity to become a member, rather than one that relies on an algorithm alone. The platforms generally accept people they believe share high-quality content, with a decent following (and engagement). Depending on the platform, you may have to wait for a brand to approach you, or you may be able to apply to be part of particular campaigns. If you manage to be selected for Instagram sponsorship, it is vital that you are clear about the brand’s expectations. You are unlikely to get paid work if you don’t produce what the brand wants. You need to know how many posts the brand is paying you for, and the type of content they are expecting you to prepare. Are you free to create the content yourself, or will the brand supply you with the material? If it is the latter, it will need to fit well with your followers, and sound authentic. Some brands expect to have a significant say on editorial content, others will give you more freedom. Similarly, you will need to find out if there are any specific hashtags you’re expected to use. Remember that the brand sets the rules for sponsored posts. They are unlikely to want to work with you again if they don't like the posts you produce. They will take a close look at the analytics showing the effectiveness of the posts you make. 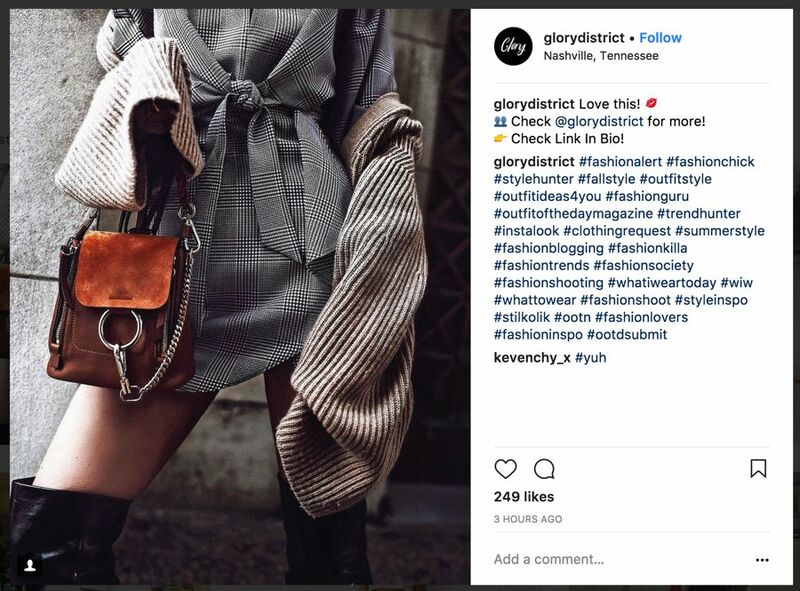 Finally, remember that Instagram now expects influencers to follow the FTC rules around disclosing sponsorship. Instagram now has a specific tool you should use whenever you make a sponsored post.